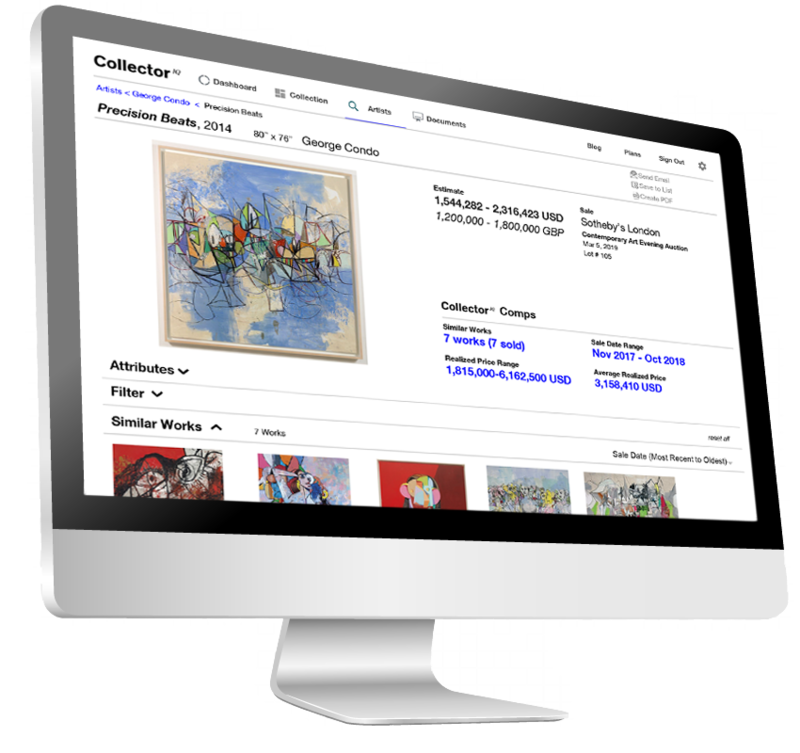 The only integrated collection management, pricing database, market research and services solution for fine art. 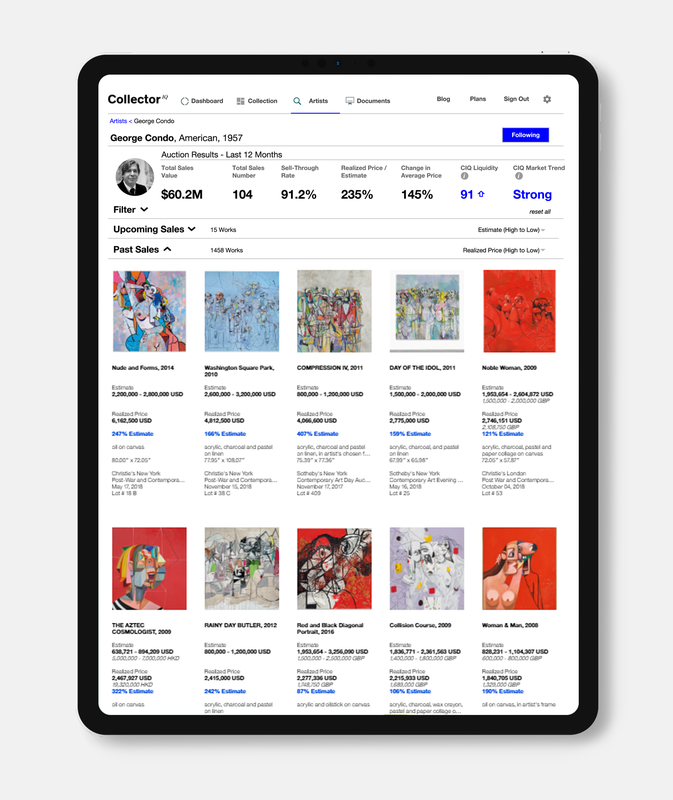 Unparalleled data on over 320,000 artists and 6.5 million works of art. Trusted with over $1 billion in collection assets. Highest level of security and confidentiality. Make better buying and selling decisions with instant auction price comparables and sale trends. Assess the strength of an artist’s secondary market using our proprietary Liquidity and Market Trend Scores. Easily discover and share auction results using unlimited searches of our extensive pricing database. Digitize and store all artwork records for easy and secure retrieval from any device. 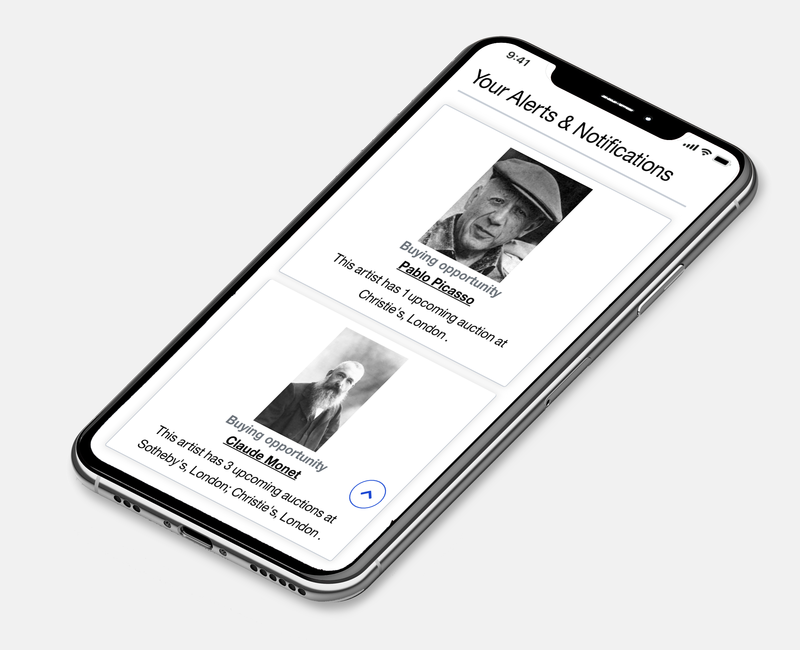 Stay informed of upcoming and recent sales for the artists that you care about with automated alerts. Simplify managing your collection with integrated art services, including shipping, storage, insurance and lending. Provide a turnkey collection management and market insights solution for your clients to easily access information about their collections. Streamline the process of providing valuations through automated like-kind analysis and custom lists to quickly surface comparable public sales. Never miss an opportunity through email alerts of auction activity based on artists your clients are interested in. Access value-added services such as appraisals, shipping, insurance and lending directly from within the application.